Since you landed on this page, I’ll assume that you’re looking for the best lacrosse sticks for beginners in the market today. This guide will walk you though the top complete lax sticks that were made especially for entry-level and intermediate players in every position. You’ll find sticks for attack players, middies, defense players as well as lacrosse sticks for goalies. 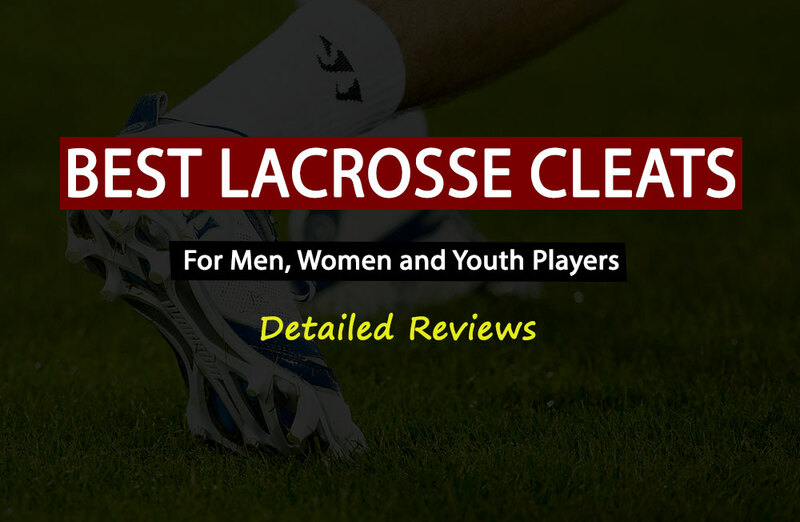 Besides, the last section of this guide outlines the top recommended youth lacrosse sticks for kids. 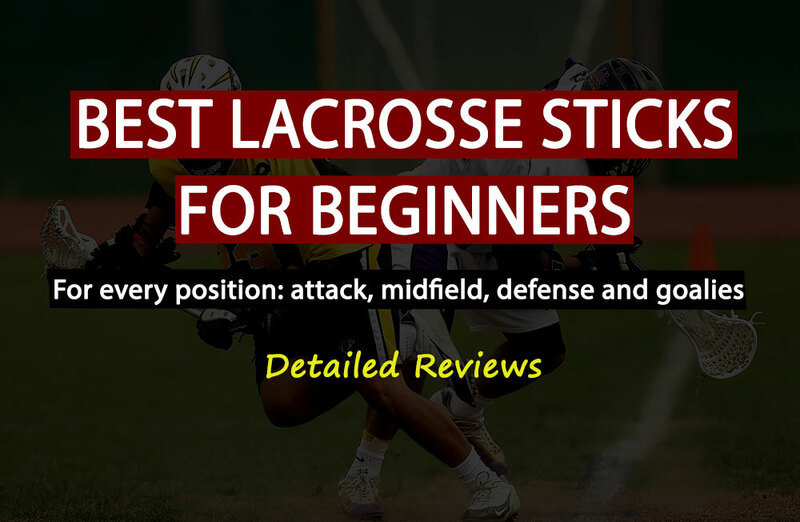 This guide will start by talking about a few basic things that you need to understand in order to make an informed decision about which lacrosse stick to buy. And then I’ll move to reviewing the best lax sticks for different situations to make sure that this guide cover all needs. However, if you don’t feel like reading or you simply don’t have enough time, you can just check out this table below which summarizes my recommendations for every situation. The first question that we need to address here is that of which option is better: a complete stick or a custom one? The short answer is that it all depends on your personal preference. But, let’s dive in more details. A custom made stick means that you get to choose the head and the shaft separately and then you assemble them together to make your stick. Obviously, this gives you more freedom. Moreover, the head will come usually unstrung because some professional players prefer to use their preferred lacrosse mesh and knots on the head. Custom lax sticks are generally the preferred option for more advanced lacrosse players. The stick is the most important element in lacrosse and they want to make sure that it’s exactly how they want it to be. Complete lacrosse sticks refer to the sticks that come ready to be used immediately after unboxing them. There’s no further action or customization is required by the player here. That’s why they’re the go-to option for lacrosse beginners as well as for players who simply don’t have the time to assemble a custom lacrosse stick. This is a question I get a lot. What are the main differences between lacrosse sticks used by women and those used by men? Basically, women’s lacrosse sticks are shorter than men’s lacrosse sticks. Besides, men’s lax heads are lighter and come with sizes that are normally bigger. We’ll get to the details of these measurements in the U.S Lacrosse Regulations section. As you probably know, women’s lacrosse has slightly different rules than men’s lacrosse. It has less physical contact than men’s lacrosse which makes the specifications of the gear used in each game different. For example, women don’t wear helmets but instead they put on goggles. As for youth players, there’s no difference between women and men. They all use the same youth lacrosse sticks. The first thing to keep in mind is that the length of a lax stick depends on the position you which to play in. Besides, the length depends also on the gender of the player. Moreover, youth players (under the age of 14) should buy lacrosse sticks with specific sizes that differ from those used by older players. U.S Lacrosse made a clear set of regulations that determine the appropriate sizes of lacrosse sticks that should be used by all lax players in the United States. I went trough all of them to come up with this table below that specifies the length of lacrosse sticks that should be used in each position. You want to see the whole list of regulations other than stick dimensions, you can visit the U.S Lacrosse website. 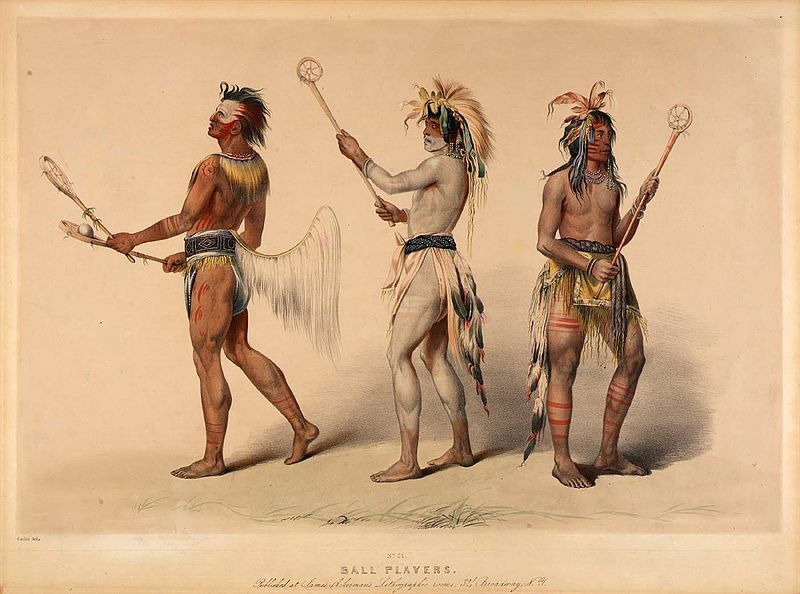 Other the the length, different positions in lacrosse require different specifications. For attackers and middies, they prefer to buy lighter and shorter shafts so that they can be able to move quickly in the field. For defense players, they like longer shafts with strong heads because they would be able to poke their opponents and block them from scoring. The head should come with a spacious pocket to be able to steal the ball easily from the other team. As for goalies, they go with larger heads that come with huge pockets to enable him to block the balls more effectively. The shaft has usually the same length of that of the attackers but with a different shape. 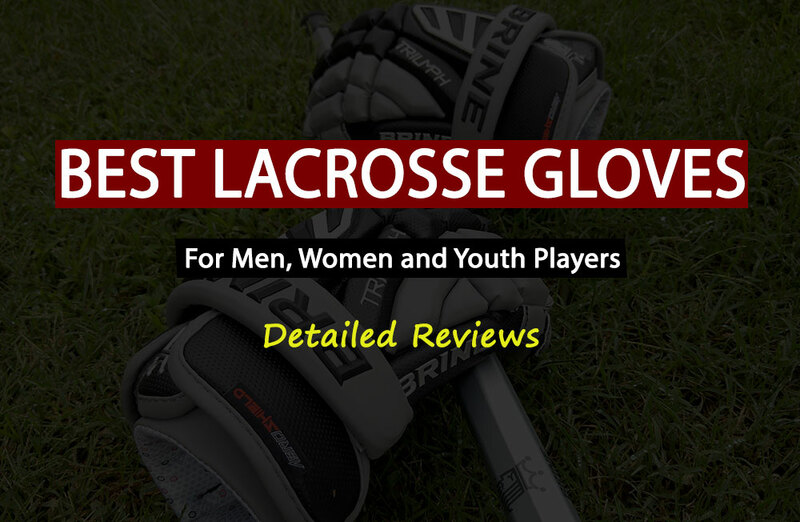 In order to make the right decision here and get yourself a great lax stick with a great price, you should first understand a few things about lacrosse sticks. There are many things to look at when deciding which stick to buy but the following features are what I consider to be the most important. A complete and strung lacrosse stick is preferred for beginners as opposed to an unstrung stick. This is because the former comes field-ready right out of the box. As we talked earlier, there are different sizes for different players and positions. Keep that in mind to avoid getting a stick that doesn’t respect the length regulations. For beginners, heads with a flat scoop are preferred to heads with a u-shape. This is because the flat scoop allows a larger surface area to be in contact with the ground, therefore, enhancing picking up of balls. As far as the width of the head goes, beginner players are better off using a wide head seeing as it increases their chances of catching the ball. A head comes with a pocket that can be shaped in many different ways. Sometimes, you find that different leagues require different pocket types. But if you’re not sure which type to get, you can always go with a universal pocket type. When it comes to the lacrosse shaft, pay particular attention to the shaft length, material, grip strength and weight. Recommended shaft lengths vary depending on the field position of the player. Plus, keep in mind that at the end of the day what really matters is that you get a stick that is comfortable to handle. Popularly, most shafts are made of aluminum because it offers strength, and durability while being lightweight and affordable at the same time. Alternative materials that may be used are alloys, carbon fiber composite, titanium or scandium. While aluminum is preferred for its light weight, titanium is known for its strength and scandium is known for offering a nice balance between the two. Composite is valued for the fact that it maintains a consistent temperature while being used outdoors. Now, we finally arrived to the most important section of this guide. It’s time to talk about the best lacrosse sticks for beginners in every position. I’ll talk to you about my favorite sticks for attackers and middies, for defensive players and also for goalies. This way you’ll get to choose the exact right type of stick compatible for your lacrosse position. So, let’s start with my recommended lax sticks for attack players and middies. My first review is going to be about the incredible stick called STX Stallion 200. This stick is the best go-to option for beginners and intermediate players for two reasons. First, it meets NCAA and NFHS regulations. Second, it comes with a low price which makes it a total bargain. This stick’s head is wide and has a u-shaped scoop, designed to make it easy to catch and control the ball thus making it ideal for entry-level players. Besides that, the sidewalls of the head are light-weighted thus enhancing ball passing. The soft stringing material used for the head makes it flexible and versatile for use in various positions. While the smooth handle has no sanding or sticky tape for enhanced grip, it is polygonal in shape, therefore, enhancing the comfort of the player. Overall, the simple yet appealing design of this lacrosse stick is great for developing fundamentals thus making it perfect for beginners who intend to play in attack or midfield positions. • Meets NFHS and NCAA rules. • Ideal weight-length balance and therefore can be used in schools. • Flexible stick with a versatile design. • The stick screw attaching the head is not very secure. You might want to add a second one for better stability. My second stick that I recommend for attack players is the Warrior Rabil Next that comes at a higher price than the previous stick. However, the features that this stick comes with make the extra dollars totally worth it. If you like a bit of swag in your lacrosse gear, then you will be glad to know that the cool graphics on this stick are designed by all-star Paul Rabil. Besides cool graphics, the lower sidewall of the head has been reinforced for stability and durability. As far as performance goes, the short 40.5” length of this complete lacrosse stick is definitely meant for attacking. The EZ gradual scoop and the wide face improve handling of ground balls, as well as throwing and catching. The ChampRings™ shaft, on the other hand, directs proper hand location to maximize passing, shooting and cradling. • Can be adjusted for legal use. • Allows good ball control. • Great shaft sized for attackers directs tape placement and hand location. • Loses a considerable amount of grip when it gets wet. One thing that makes the Warrior EVO Next Lacrosse Stick great for beginners is the consistency in performance. The EVO™ head on this stick is re-tooled for players at entry-level so that they get the experience of a pro player even when they are still mastering the fundamentals of the sport. The semi-hard performance mesh softens a bit after being broken in thus increasing the flexibility of the stick. This gives it performance including consistency in throwing and enhanced ball control. Besides the performance mesh, the head of this lacrosse stick also features very deep pockets for enhanced ball control. The shaft is constructed just as intelligently featuring Ruff-Grip™ texture for a great hand positioning and a high-end feel. This stick is a solid choice for both attackers and middies especially those who want to have a high-end experience while still at the beginner level. • Has a high-end look and feel. • The player can still maintain a firm grip even in rainy weather. • It’s an advanced stick for an affordable price. • The stick is slightly heavy compared to others. In this section, i’ll review two lax sticks that everybody’s talking about them in 2019. These sticks were made especially for beginners players that want to play in the defense position. For defense, this version of the stallion 200 U lacrosse stick is longer than the version meant for attackers and middies. It is a standard, full-sized 6-foot long pole that can be cut to the needed size depending on the player’s height and preferences. This stick is designed to make it easy for an entry-level player to develop the fundamentals. For this reason, the head is slightly offset so as to enhance ball control and easy catching. The open sidewall design used created room for a wider face to help the player pick up ground balls easily and also make catching easier. At the same time, the sidewall is reinforced for strength and durability ensuring the player will get to use this stick for several seasons. • Meets rules set by NCAA and NFHS. • The head is designed to respond in a forgiving manner. • The stick scratches on the head because of the soft material used. This lacrosse stick is made with Brine’s performance grade ST2 alloy. This gives it the advantage of durability and strength which is exactly what you want in a defense stick. Besides that, the shaft features a raised grip made of rubber that gives the player better control of the stick and at the same time, reducing the weight of the stick for enhanced speed and performance. 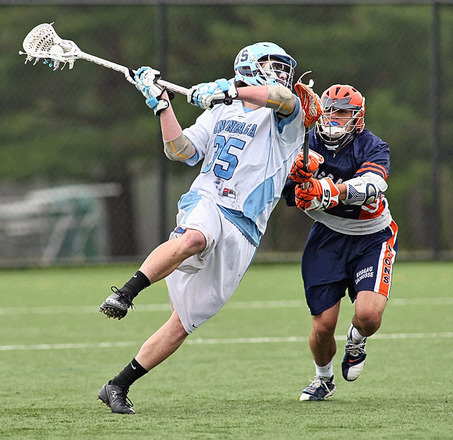 The defensive head is meant specifically for those who are still learning to catch and throw, including the wide scoop for better ground ball pickups. The head also has a good semi-hard mesh for consistency and improved accuracy. • Offers consistency and accuracy. • Alloy shaft provides strength and durability. • Great value at an affordable price. • You might want to re-string the factory-strung head. Now, I’ll talk about my all time favorite stick for goalies that I always recommend for beginners who are just starting out with lacrosse. One thing entry-level goalies are sure to love about this lacrosse stick is that there are several colors to choose from. Besides that, the price tag on this stick is low enough to allow you buy the stick purely for some recreational backyard fun. This head is crafted after the bestselling Eclipse head complete with a soft mesh pocket. This gives it optimal strength, along with the closed sidewalls that prevent bending and flexing of the head under pressure. The design also results in a forgiving response allowing beginner players to have a wide learning curve. • Reliable goalie stick at a very low price. • Durable chrome metal handle. • 39” overall length allows for easy handling of the stick. • The soft pocket mesh might bag quite a lot. Most kids aren’t tall enough to handle a full-sized lacrosse stick. That’s why the rules allow kids to play using sticks that are 36″ tall. Also, youth lacrosse sticks are made using light materials to make them easy to carry while running in the field. Here below are my pick of the best lacrosse sticks for kids that you can get in 2019. I think it makes total sense to start our reviews with the best lax stick that I recommend for kids. It’s the StringKing Junior that comes with a light shaft and a wide head that makes learning lacrosse basics an easy task for any kid. This stick is delivered as complete and ready to use with the mesh stringed. It’s a regulation-sized stick. Compared to the adult version A7150, this stick has a shaft that is much lighter, thinner and easier to grip. This will allow kids to learn shooting and cradling a lot easier and faster. As for the head, it’s wide enough and it has a good pocket that makes catching the ball easy for the player. Bottom line, this is a well-balanced premium stick that was made especially for youth players. Most reviews online are praising this stick and saying it’s quite durable and it’s exactly as described by the seller. It’s the perfect lax stick for 11 years old players and younger. I would say it’s the best youth lacrosse stick out there. My second favorite stick for youth lacrosse players is definitely the STX STallion 50 that was made especially for kids to help them learn the basics of lacrosse. As you can see in the picture, the design of this stick is ergonomic which makes it easy to use for beginners. The head of this stick is made from soft material to enable players to easily pick the ball from the ground. There’s a short and thin handle to provide easy control over the stick for young players. Another amazing thing is that the STX Stallion 50 is pretty lightweight which makes it a perfect stick for kids under the age of 10. However, the only downside I can see with this stick is the pocket. Many people have complained about the pocket being too deep and that it needs adjustment. Other than that, I think this stick is a good one. Its price is quite reasonable compared to what this stick has to offer. I’d totally recommend this stick. First of all, there’s no comparison between this two pack and the sticks I’ve reviewed before this. This 2-pack are mini sticks that has a length of only 30 inches. Plus, they’re made from plastic and practically they can’t be used in youth competitions. They’re not legal lacrosse sticks. However, they can be a good equipment for practice especially for kids under the age of 8. They come with a practice ball. They feature plastic handles that are easy to use by small kids. Bottom line, these aren’t professional lacrosse sticks nor they’re meant to be. The purpose of these sticks is to initiate your kindergarten kids to play lacrosse. That’s why I thought it could be a good addition to this list since I know many parents are looking for sticks like these. I honestly don’t know how you can still be confused about which stick to buy after reading this guide. I do believe that I covered all the different needs that a lacrosse beginner player can have. So, I’d recommend that you read the guide a second time to make sure you didn’t miss anything. In case, you still have some doubts about any of the lax sticks reviewed in this guide, I invite you to explain your situation to me in a comment below. This way I’ll be able to help you and at the same time you’ll get to add more value to this guide to make it even more complete. Again, here are my recommendations in each field position for lacrosse beginners.